Hi! 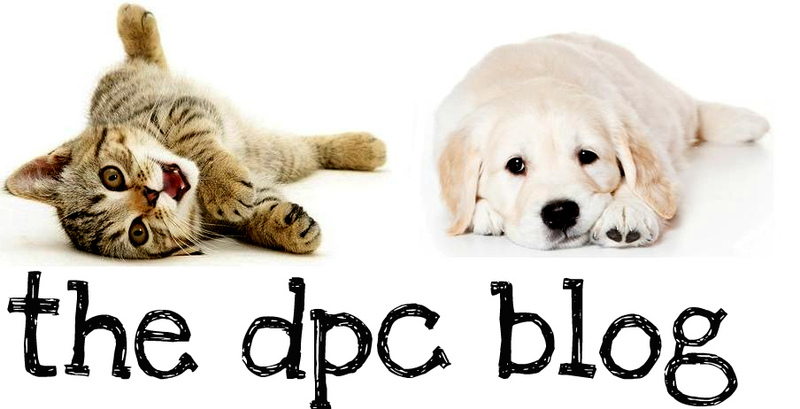 Welcome to DPC Veterinary Hospital's shiny, new blog. I hope you are as excited about the launch of this Blogger as we are! First and foremost let me begin by offering a little FAQ. What is this blog for?! Coupons, Specials, Deals, & Important Announcements regarding DPC. News articles regarding animals, pet owners, and Veterinary issues. Photos, photos, photos! We know you love looking at the furry babies! Introductions and articles regarding our staff, including the doctors. Posts regarding pets in need of homes. Success stories and interesting cases. Pet owner information on anything & everything... From illnesses and vaccines, to household hazards and hurricane-preparations! Links to things we find important.. such as Pet Insurance companies, and the SPOT program application for Broward County. How do I view & post to this blog? Only the operator(s) of the blog can post IN the blog, but all are welcome to read! How do I request or suggest things to be posted in the blog? You can email the moderator at thedpcblog@gmail.com if you'd like to inquire about something being posted to DPC's blog, or to suggest something you would like to see posted in the future. The blog was created by & is currently operated by Jessica, a receptionist who works at DPC. All staff members of DPC have access to & will contribute to the content of the DPC blog. If you have any further questions please ask them in a comment below and we will gladly add them to our FAQ section! Thanks! The truth about Online Pharmacies.